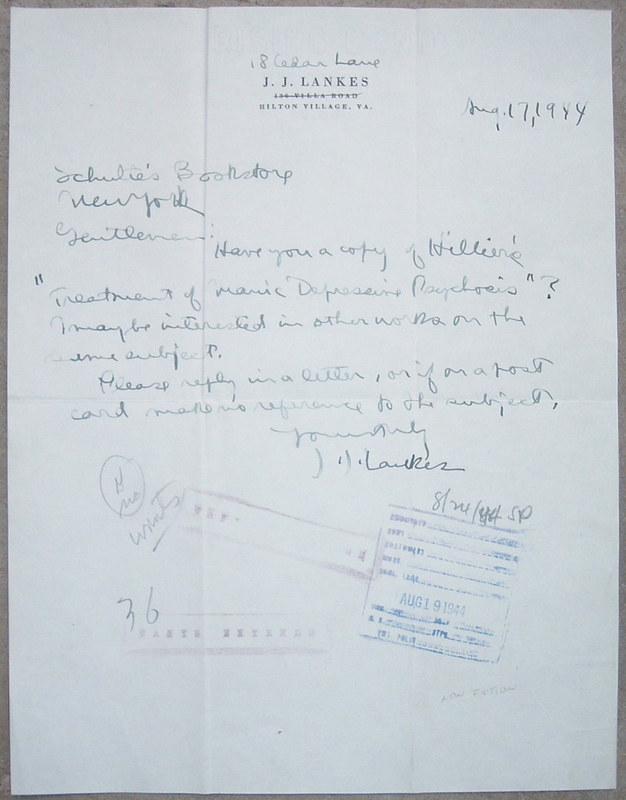 From that wonderful cache of Schulte's Bookstore correspondence I obtained a few years ago, I've plucked another interesting letter to showcase here. 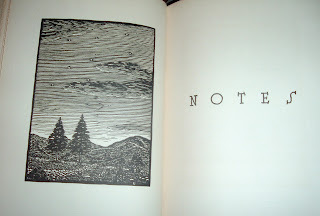 This one was written to Schulte's in 1944 by the renowned woodcut illustrator Julius John (J.J.) Lankes (1884-1960), whose illustrations I featured in a recent post about Robert Frost. 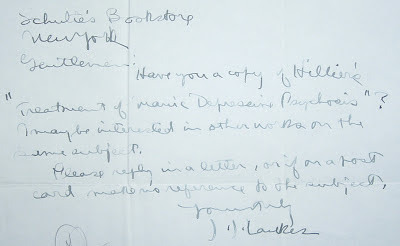 Mr. Lankes wrote the New York bookseller from his Hilton Village, Virginia home in August of 1944 seeking a particular title: Hillier's Treatment of Manic Depressive Psychosis. 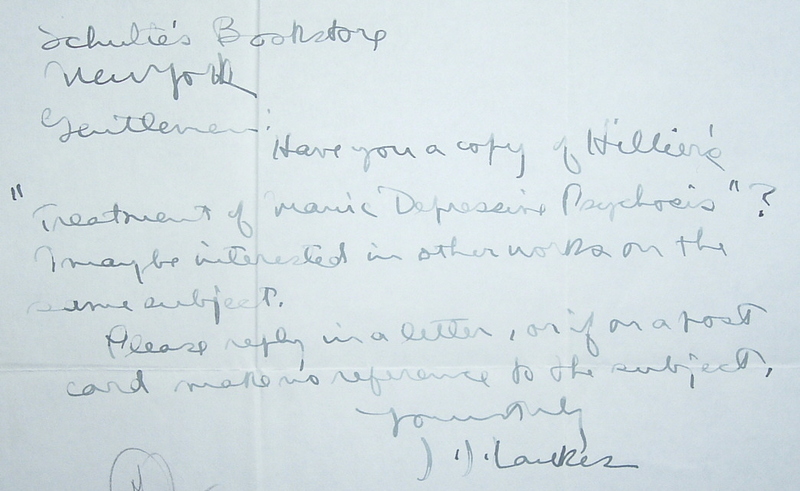 He also expressed an interest in other titles the bookseller might have on the same subject. He signed off his book request with another request about how to answer him--specifically, by letter, but if the response were by post card, Schulte's should do so without reference to the subject. Who's privacy was Lankes trying to protect? His own? A family member's? 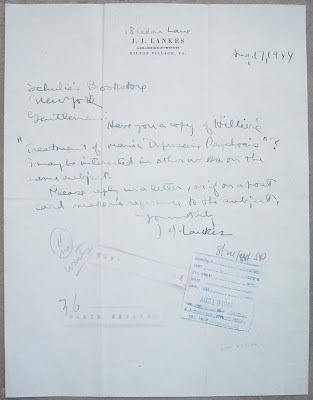 At the time this letter was written, Lankes was working for the National Advisory Committee for Aeronautics (succeeded by NASA) as head of technical illustrating in the reproduction section. Of this period in his life, Welford Dunaway Taylor writes in The Woodcut Art of J.J. Lankes (David R. Godine Publisher, 1999) that Lankes would much rather have been making a living as a woodcut artist. He seems to have been very dissatisfied with such labor, but knew he had to do it to survive. But Lankes' dissatisfaction may have been more than just a temporary, work-related bad humor. 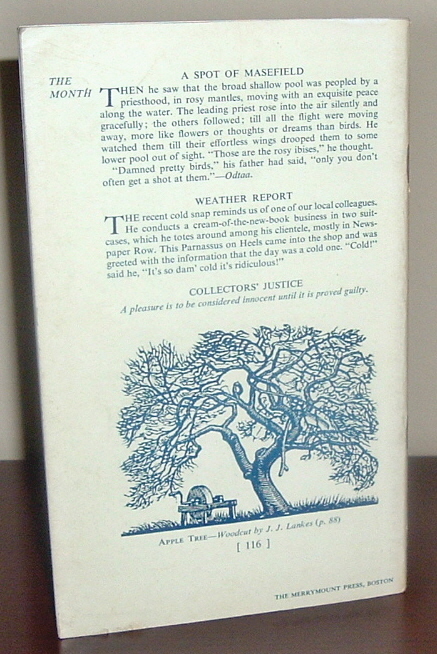 In Taylor's book, Robert Frost, with whom Lankes enjoyed a long collaborative relationship, is quoted as having said "Lankes doesn't like anything." 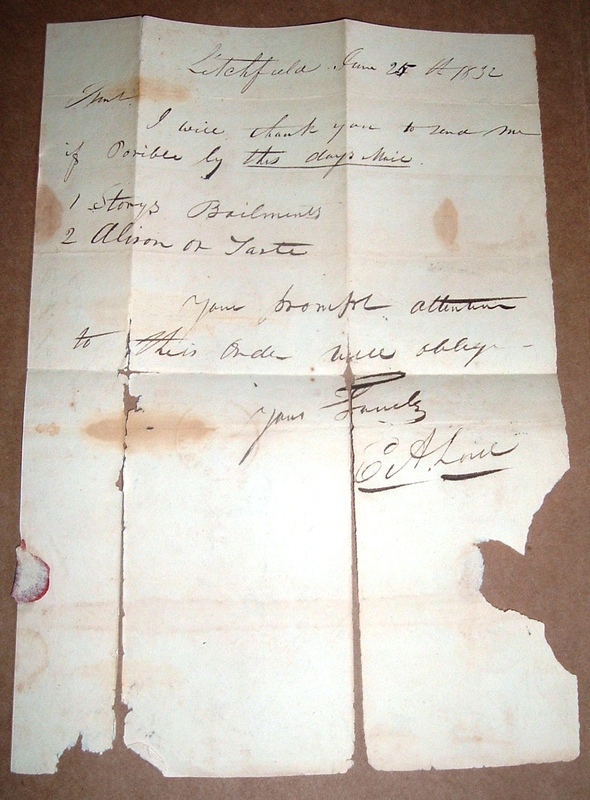 Taylor also writes of Lankes' close friend Robert P.T. Coffin describing Lankes as a hard man to live with and that his work as a woodcut artist was about all that gave him any pleasure--everything else disappointed him. Whether these psychological assessments were self-revelatory to Lankes or communicated to him by close friends or family, it would appear by his book inquiry to Schulte's Book Store that he wanted to learn more about what he might have assumed to be a " manic depressive psychosis." It's also interesting to note in Taylor's book that Lanke's woodcut art declined significantly during his tenure with NACA. Could this have created a vicious cycle of sacrificing creative work for unfulfilling work to meet living expenses, which fed back into a growing depression? 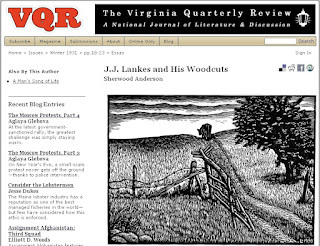 Anderson alternately characterizes Lankes as moody and silent and talkative and accommodating. Are there clues here to a possibly developing "manic depressive psychosis?" If so, Lankes apparently sought refuge in his creative expression, something he may have been denied in later years, either through necessary "survival" work or declining abilities. Anderson writes of this "very significant man" from the perspective of the Great Depression of the 1930s when the whole country was "spiritually tired" and darker moods prevailed with many. 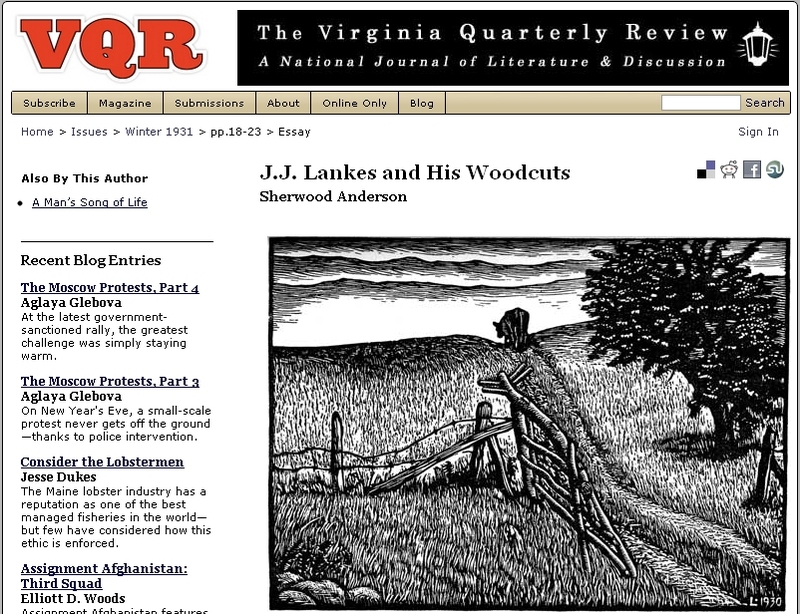 Out of this darkness, Anderson found light in the work of J.J. Lankes. He is reasserting the life and the beauty buried away in things, is always reasserting it in every woodcut he makes. It is his determination, his assertion and reassertion, as well as the beauty of his work that, it seems to me, makes Lankes, the Virginia woodcut man, one of the very significant living artists of our day. 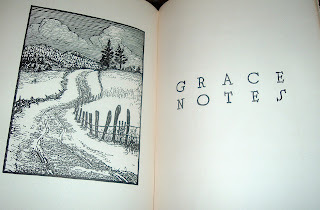 Further reading: The Private Library's blog post: Lankes, Frost and The Private Library. Today, March 26th, is the birthday of one of America's greatest poets. 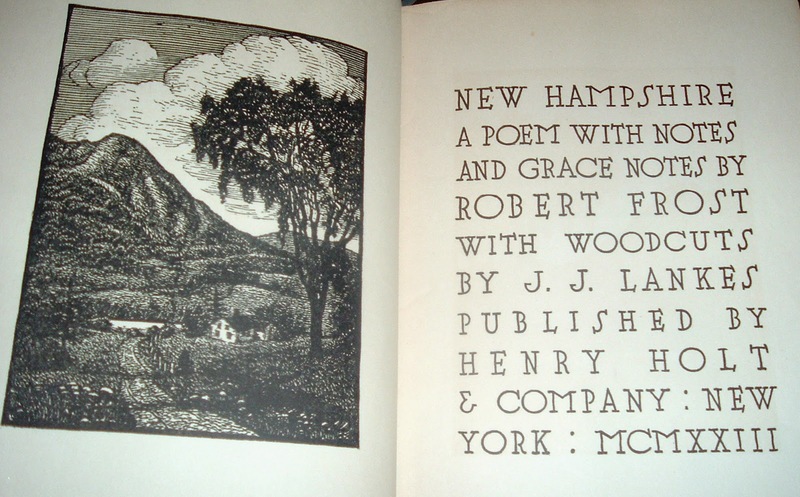 Robert Frost was born on this day in 1874. I recently acquired a copy of Frost's bookplate above while researching the bookplate's designer, J.J. Lankes, for a blog post about a Lankes letter, which will appear here soon. 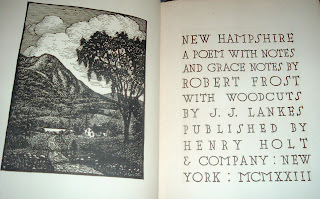 Lankes and Frost became friends and collaborators in the 1920s when Lankes created the woodcut print illustrations for Frost's New Hampshire (Henry Holt, 1923). That collaboration would continue over the next few decades. 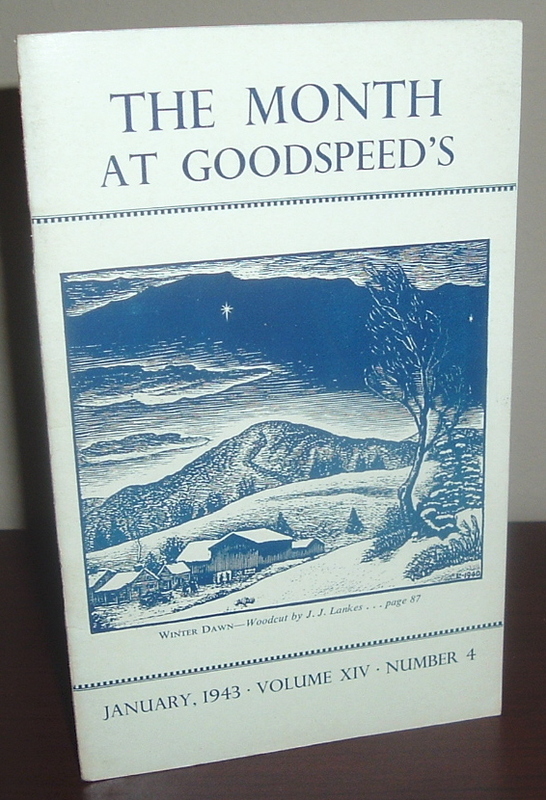 Goodspeed's Book Shop also featured some Lankes illustrations on the covers of their The Month at Goodspeed's publication for January 1943. Inside this catalog, offered for sale, are some of the woodcut prints that made it into Frost's New Hampshire, annotated with comments from Lankes. 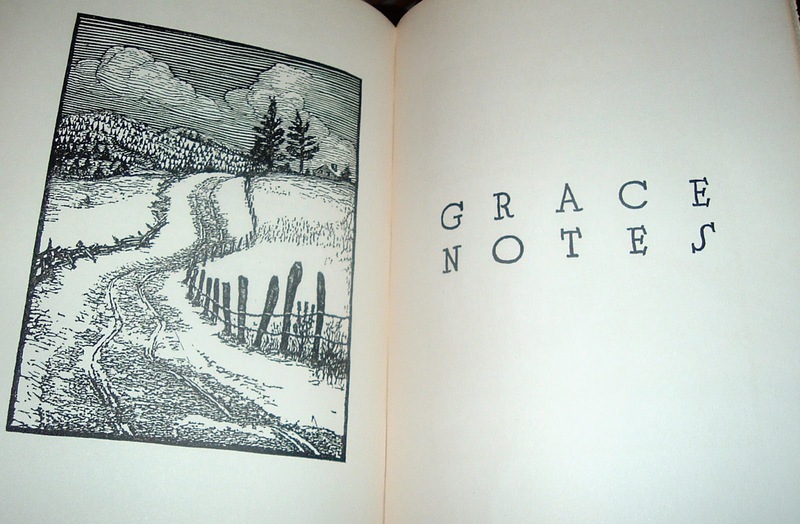 Below are some illustrations from my copy of New Hampshire, which I referenced in a post on the Archaeolibris blog several years ago after a visit to Robert Frost's home in Francona, New Hampshire. "I had come back from a sketching trip in Eastern Ohio but a few days before MacVeigh asked if I'd care to do New Hampshire. So Ohio was heavy on my mind and I'd never been in N.H. The sketch was made on a very hot day in Ohio." "A tail-piece for New Hampshire. 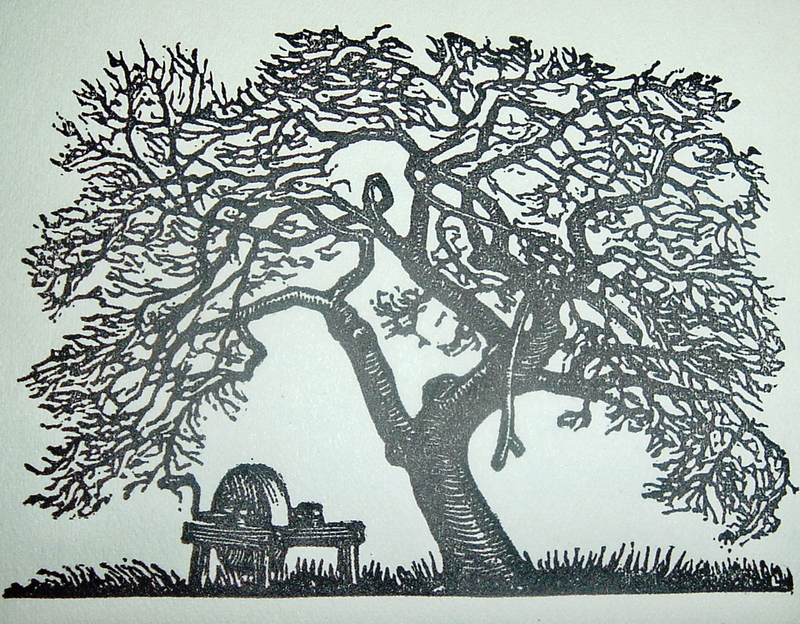 The tree is in my father's orchard, as well as the grindstone. I know how merciless a grinder can be toward the boy turning the stone." 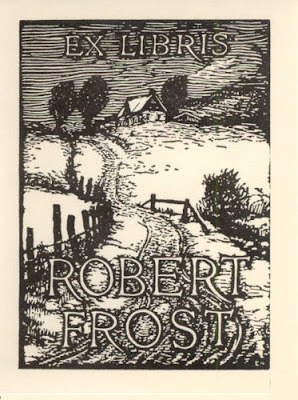 As for Frost's bookplate designed by Lankes, that image did not come out of Ohio. Lankes visited Frost at his Stone House home in Shaftsbury, Vermont in 1923 and there sketched the image that would become Frost's Ex Libris. 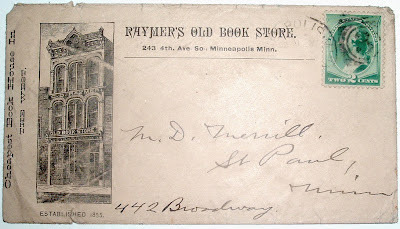 A few years ago, I wrote about a piece of ephemera from Raymer's Old Book Store in Seattle, 1956, and traced the store's lineage, if not its age, to Minneapolis. Now I know just how far back the business goes. 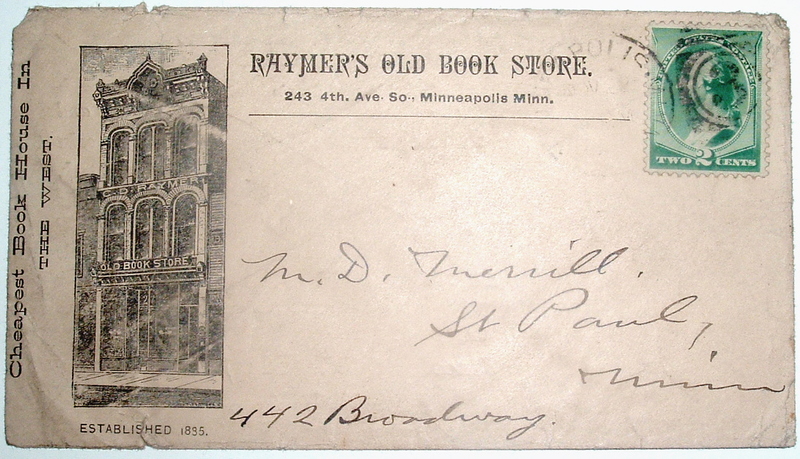 This old ad cover from the Minneapolis store takes Raymer's back to the 1800s. For now, this is the earliest evidence of its existence I have, but this piece does confirm when the business got started. On the left side under the image of the business' building: Established 1835. Make that 1885 (thanks to a reader's comment below). Raymer's was no slouch at advertising. 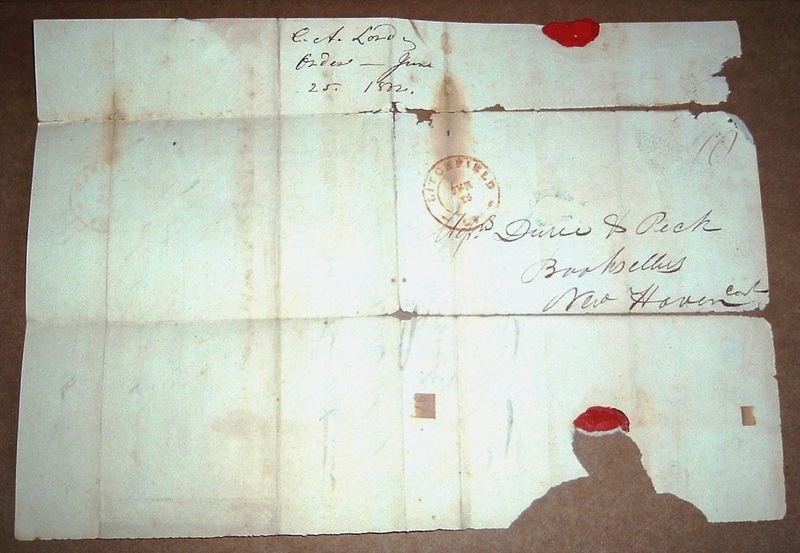 They used both sides of this envelope rather judiciously, especially the backside, to promote their business (see image below). 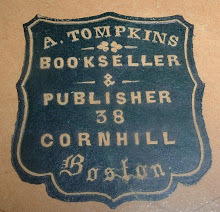 And their business included just about everything in the way of books from rare, curious and out of print to specialties in law, medical, school and college text books. 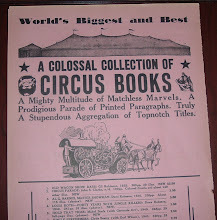 And if that weren't enough, they laid claim (front) to the fact that they were the "Cheapest Book House in the West." This time around with Raymer's, I found a little more information to document their arrival in Washington state. 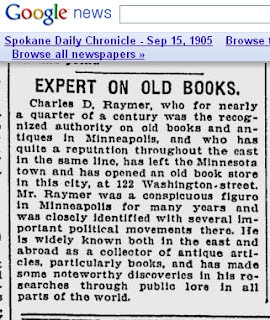 The Spokane Daily Chronicle, has a couple of reports in 1905 announcing the arrival of antiquarian bookseller, Charles D. Raymer,from Minneapolis to Spokane, Washington. The September 15, 1905 issue announces that Raymer's has opened in Spokane at 122 Washington Street. 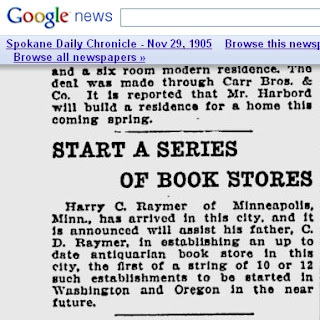 A few months later, November 29, 1905, Raymer's son, Harry, is reported to be in town helping his father with the store. This blurb also reveals some long-range, ambitious plans for the business. 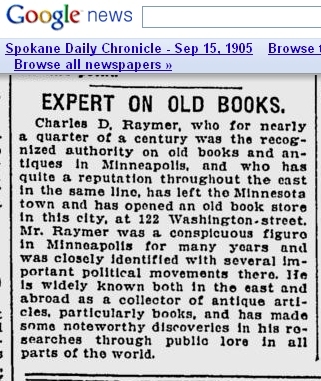 The booksellers will open a chain of antiquarian book stores in both Washington and Oregon--up to a dozen! The Raymer's move was not just a family pulling up stakes and trying their luck in a new location. 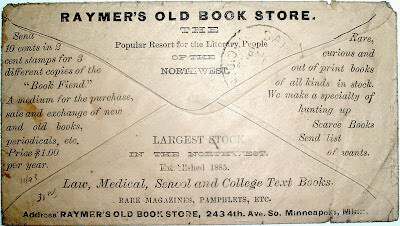 At least as far back as the 1890s, Raymer had already expanded his bookselling business west with a shop in Salt Lake City, while maintaining operations in Minneapolis. The Library of Congress archives offer evidence of this with old newspaper articles found online. 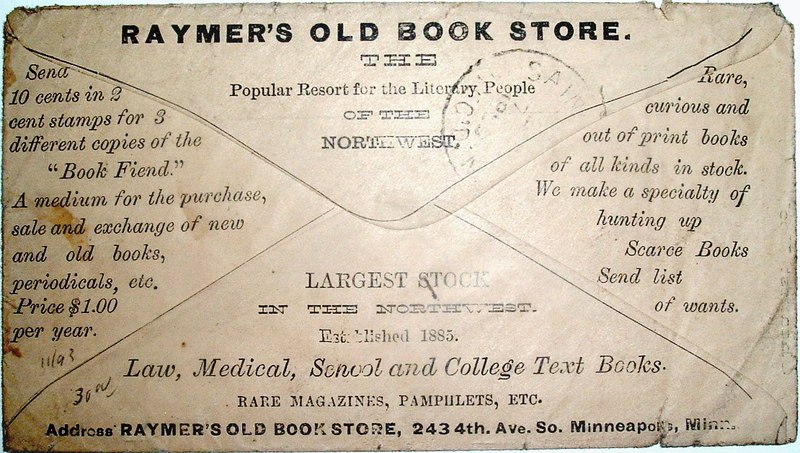 The move into the Northwest seems part of an overall westward expansion business plan of Raymer's book business that started at least a decade earlier. 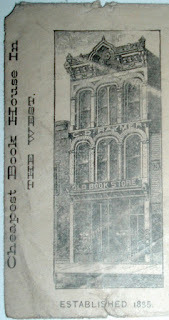 I don't know how many stores they eventually opened, but they had to be one of the country's early chain book stores. And they did it with antiquarian stock! That in itself had to be a pioneering enterprise. As the old century of the "Wild West" came to a close and the 20th century dawned with the excitement of automobiles and flying machines, perhaps the visionary in Raymer saw great opportunity in the mobile, developing New West. If so, that business vision would be based, ironically, on recyled artifacts from the previous centuries. Old books. 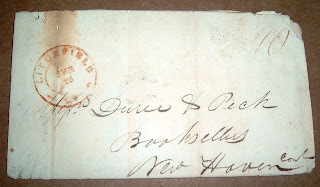 Booksellers Durrie & Peck started their business in New Haven, Connecticut in 1818. 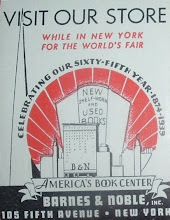 They would grow to add bookbinding, publishing, and printing to their services. Related to those areas of business, The New Haven Museum has about 1700 pieces of ephemera documenting the company's history up to 1860. One they don't have is this piece from my collection. 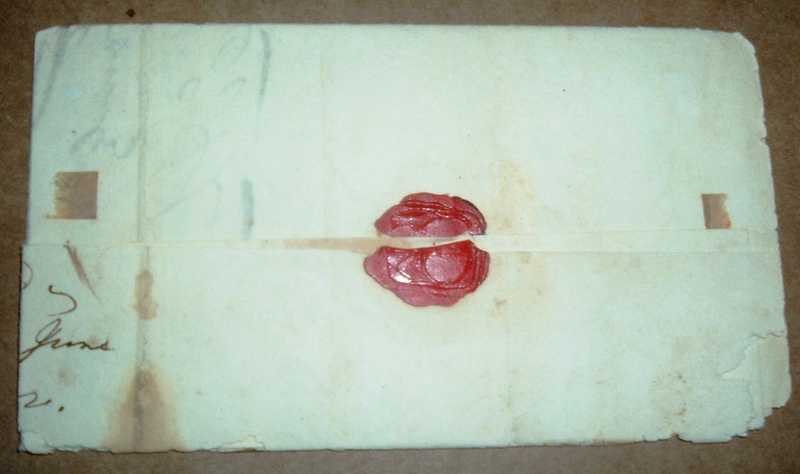 In the stampless, wax-sealed letter above, or what's left of it (see below), E.A. Luce has written to Durrie & Peck, and Durrie (with two r's) is the correct spelling, to order a few books, hoping they're in stock and hoping they can be delivered by the day's mail. I began a search for information on the customer E.A. Luce and kept running into Edwin A. Luce, who was a Master Mariner on a whaling vessel. I thought this would lead to an interesting story on the reading habits of an old salt on whaling voyages. 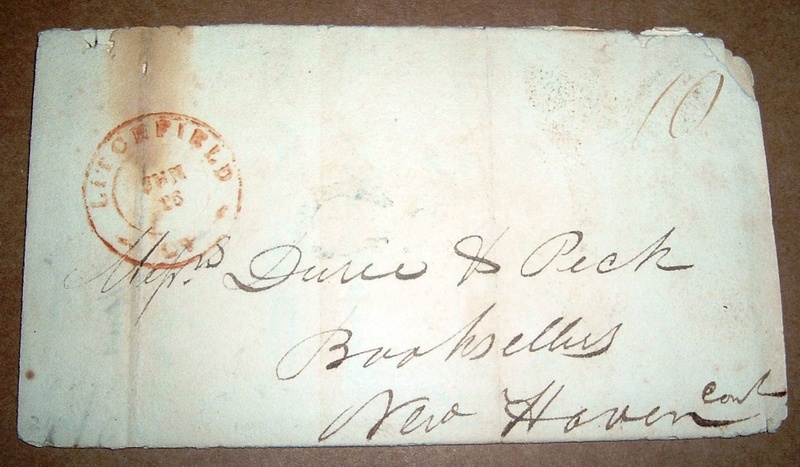 But he was from Tisbury, Massachusetts and the Durrie & Peck customer was from Litchfield, Connecticut, which is closer to upstate New York than any seaport town. A bit inconvenient for a whaler. 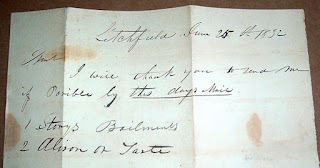 As I deciphered the handwritten order, I began to wonder why a whaler, or Master Mariner of other commercial ventures, would be interested in the requested books, which dealt with law and matters of taste and the philosophy of aesthetics. Not that a Master Mariner wouldn't be interested in such topics. It's just that I would expect books related to the sea or sailing vessels or whaling--tomes of the trade, so to speak. The two books E.A. Luce from Litchfield is interested in are noted only as Story's Bailments and Alison on Taste. A little investigation uncovered the full identity of these books. The first book would be Joseph Story's Commentaries on the Law of Bailments, With Illustrations from the Civil and the Foreign Law (Hilliard & Brown, 1832). Hilliard & Brown were predecessors to Little, Brown & Company. The image to the left is provided with permission from Meyer Boswell Books, ABAA, of San Francisco, a specialist in rare scholarly law. They have an 1832 First Edition of the book that Luce sought from Durrie & Peck that year. 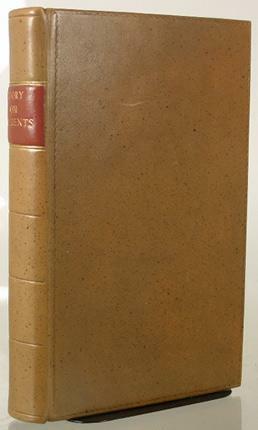 The other title Luce wanted was Essays on the Nature and the Principles of Taste, by Scottish Enlightenment author, Archibald Alison, published originally in 1790 by J.J.G. and G. Robinson (London) and Bell and Bradfute (Edinburgh). Presumably, Durrie & Peck had in stock a later American edition that Luce wanted. This philosophical collection of essays dealt with aesthetics and acquiring taste relevant to associations and emotions. So there you have it--a sampling of the reading requirements, or perhaps I should say taste, of a Western Connecticut customer, preserved in his manuscript request to one of the area's more respectable and established booksellers of the day. One might deduce from this evidence that E.A. Luce practiced law and had a an interest in aesthetics and philosophy. A man of means and taste. But I'd still like to encounter an ephemeral bit of evidence as to what the Master Mariner Luce was reading while at sea. 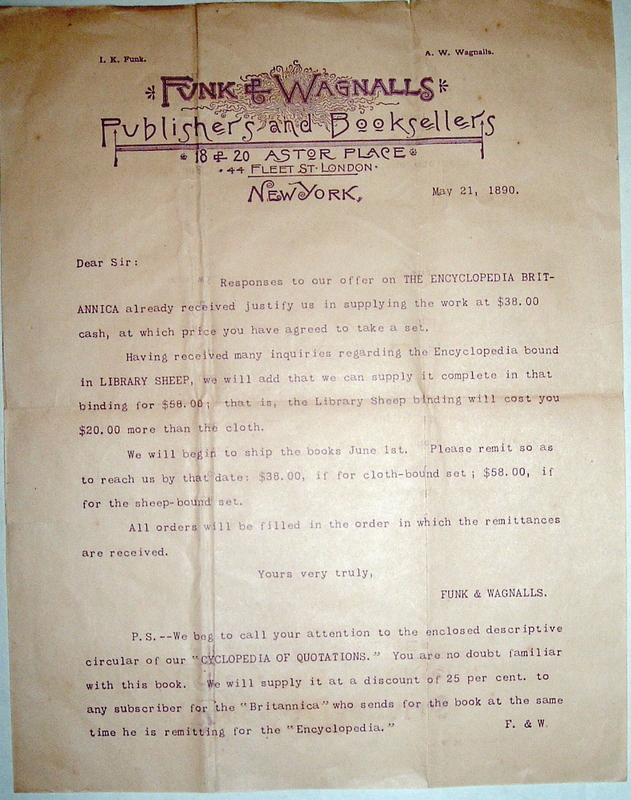 1890 marked a turning point for publisher-bookseller Funk & Wagnalls, who since their founding in 1875 had been selling religious books. 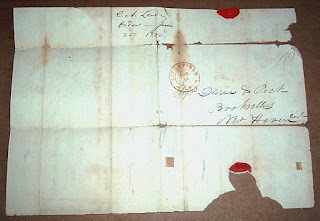 The letter below, on company letterhead, is dated May 21, 1890 and provides evidence that a shift in business models is underway. The letter indicates they are now offering The Encyclopedia Britannica in cloth ($38) or library sheep binding ($58), as well as the Cyclopedia of Quotations. 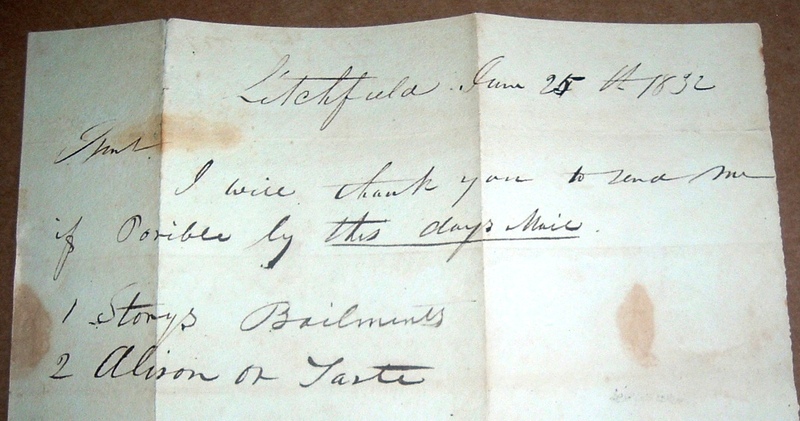 They have had a good response to the Britannica offering and expect to start shipping the next month, June 1890. Their Standard Dictionary of the English Language would come out in 1894 and their own encyclopedia set, The Funk & Wagnalls Standard Encyclopedia, wouldn't be published until 1912. That set is no longer offered in a printed version, a casualty of the Internet game-changing 1990s. But you can still buy their dictionary... at Britannica .com! 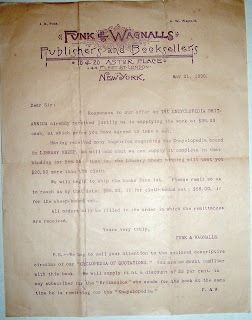 Funk & Wagnalls enjoyed various levels of success well into the 20th century under changing ownership, but couldn't compete in print with the Internet and digital versions. 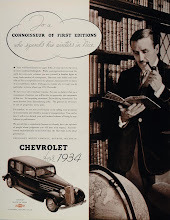 Nor could the company they partnered with a century earlier. Funk & Wagnalls' last print edition of their encyclopedia set was published in 1997. Ironically, Microsoft used Funk & Wagnalls text for their initial digital version of an encyclopedia, but soon replaced that with their own content. Content from the Funk & Wagnalls New World Encyclopedia can still be found online through EBSCO Publishing, which provides content to educational institutions. It was recently reported that the Encyclopedia Britanicca has ended its print run and will focus on their online business. For an interesting take on the demise of The Encyclopedia Britannica , as well as other print sets of encyclopedias, such as Funk & Wagnalls, read Wired writer Tim Carmody's March 14, 2012 article, Wikipedeia Didn't Kill Britannica, Windows Did. 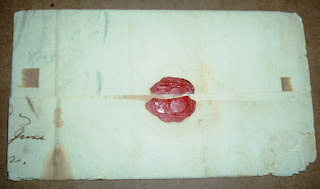 "These envelopes have been hermetically sealed. They've been kept in a mayonnaise jar on Funk & Wagnalls' porch since noon today." -Ed McMahon with Johnny Carson as Carnac the Magnificent on the Tonight Show.